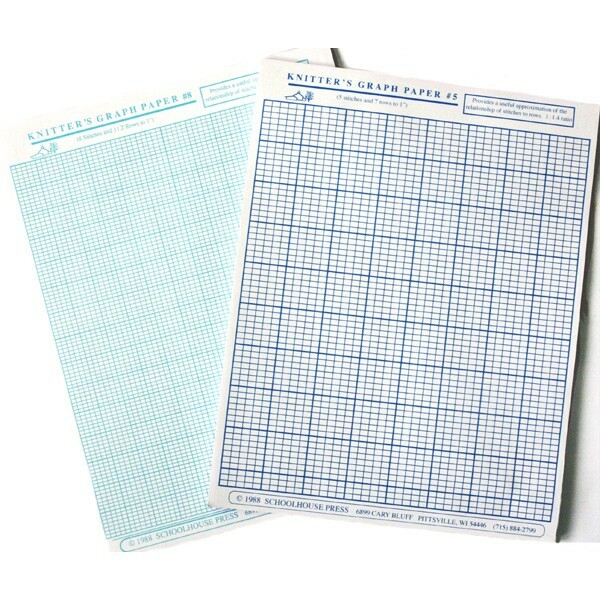 Knitter's graph paper provides a useful approximation of stitches to rows, a 1:1.4 ratio. Helpful in charting your own design ideas. No. 5 is 5 stitches and 7 rows to the inch (use to chart garments made from a mid-weight yarn such as Candian Regal).